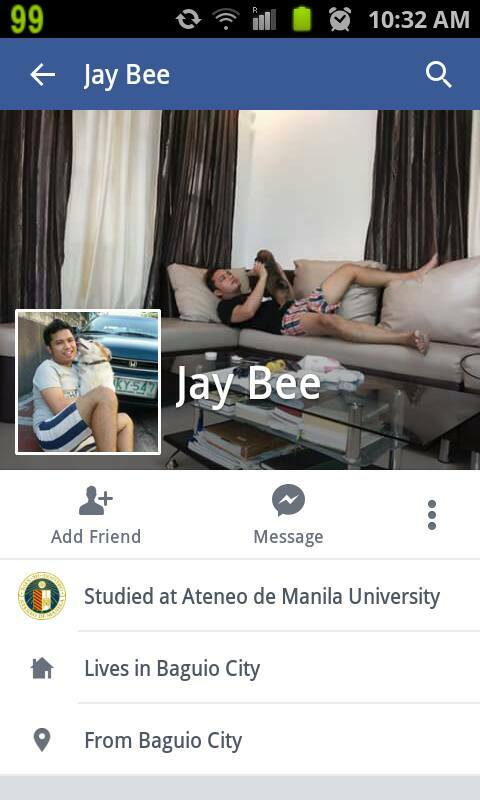 MANILA, Philippines - Facebook user Jay Bee who allegedly claims to be a doctor and alumnus of Ateneo de Manila Universitys now the viral topic on social media as he irks netizens on sabotaging Jollibee delivery boy to get free food. Jay Bee has boasted on Facebook that he used devious way to get the fastfood's P200 gift certificate if the delivery was late. On his post, Jay Bee made sure the delivery was late and said he pretended not to hear the receptionist calling him. "Hahaha..pero ang totoo, hindi naman talaga late, di ko lang sinasagot ang tawag ng receptionist sa baba, dun palang hold na siya. After ng 1 minute sinagot ko, pagdating sa unit ko of course late..hahaha," Jay Bee told proud to his Facebook friend. The doctor said he only paid Php 66 for a burger, spaghetti, fries, and choco sundae. Screengrabs of his conversation with friend now circulates on social media. "Nasa bahay lang ako para maghintay ng kahit sino na gustong pumunta.nasa receipt ang address.. mamaya tambay lang sa baba para makapag yosi.. welcome ang lahat na pumunta.. fans and bashers open kayo pumunta para naman personally nyo ako makita Hindi puro HEARSAY Lang.. iginagalang ko kayong lahat kaya ito lang masasabi ko.."
Will Jay Bee apologize to the poor delivery boy and the fastfood chain in the coming days?